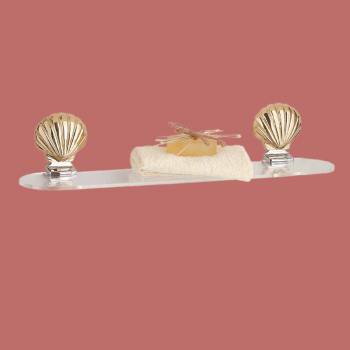 Has solid brass shell shelf brackets? Features the finest polished & lacquered finish? 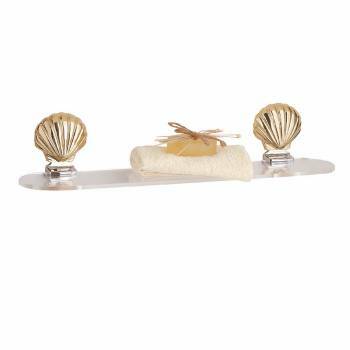 Part of our Sea Crest solid brass bath collection. 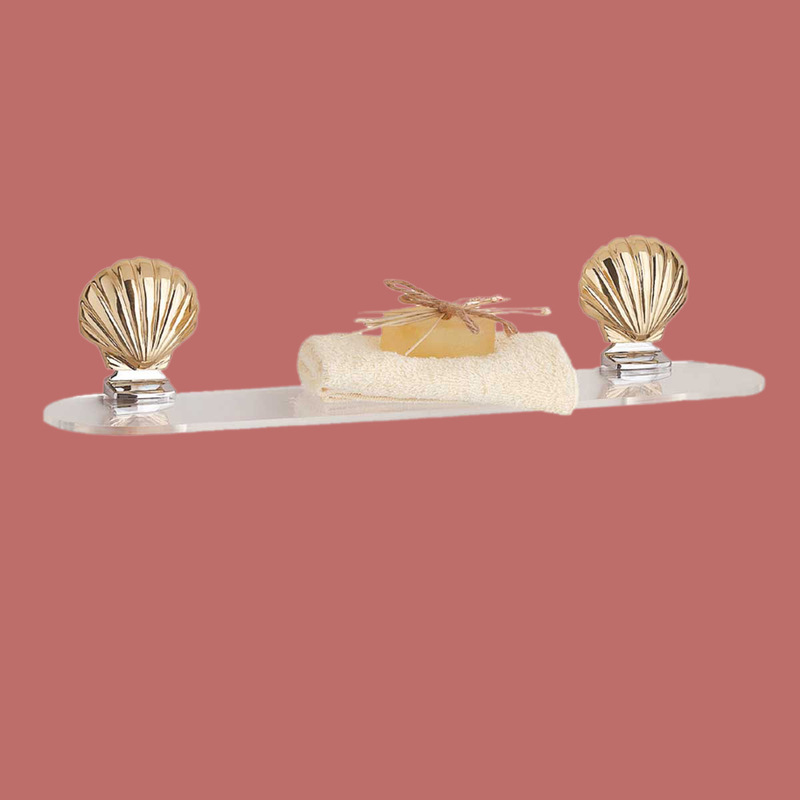 This shelf features a brass shell with chrome brackets and a acrylic shelf. It is 23 1/2" wide x 4 3/4" deep.